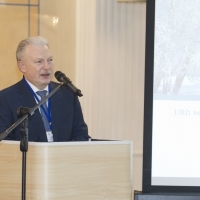 The 10th Seminar on Cooperation between Russian and Finnish Institutions of Higher Education was held on February 10th - 11th. 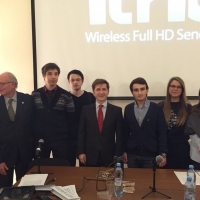 On February 8-10 orientation days for incoming exchange students were held at UNECON. 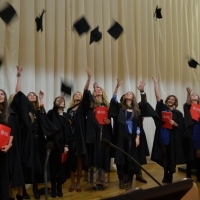 January 22 a ceremony of awarding diplomas to graduates of the International Master Program "Corporate Finance, Control and Risks", implemented in cooperation of UNECON with Paris Dauphine University. 28-29 January 2016 in walls of UNECON met again representatives of the statistical community of Russia and a number of countries - Poland, Bulgaria, Slovenia, Belarus, Kazakhstan, and China. 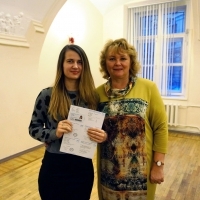 Diplomas in this year received 13 graduates of program, among them was one with honors. 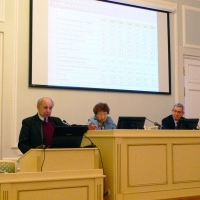 The conference was held at Monday, November 23, 2015 at the Italian Mediatheque at Consulate General of Italy in St. Petersburg (Theatre Square. 10). November 19 in UNECON the International School of Economics and Politics (ISEP) organised the Open Door Day of double degree programs. UNECON cooperates with the French universities for over 20 years. 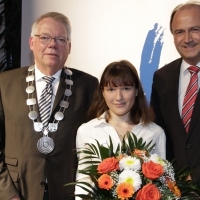 Lubov Synyshina, graduate of the joint program in economics of UNECON and Fernuniversität Hagen, is awarded by DAAD for outstanding achievements in education among foreign students.